Jess promised Jake and Ereka a picture of the cereal she loves. She said it’s a mixture of corn flakes and corn pops. 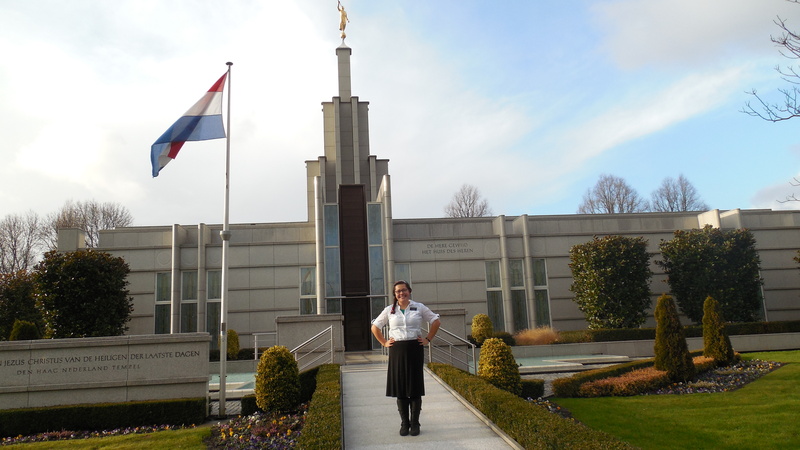 The Netherlands temple. Love the flag!!! It snowed!!!!! Saturday, the 27th, it snowed:) So pretty. This photo was taken on our way to the hospital. AND–WE HAVE BAPTISM SATURDAY!! AH!!!! I feel so privileged to have taught Ashil and then to hear him say he wants to be baptized. Ah. It’s such a great feeling. He’s so excited.I’m so excited. Ah!! The Lord is amazing:) and I say that word a lot, but it’s true. Ah. Ah! She told us there is a moat around the church building. She said there are streams, canals and lakes everywhere. The most interesting food she’d eaten recently was a tomato full of shrimp and fish. Her favorite thing is chocolate milk and cookie butter, which is kind of like peanut butter. 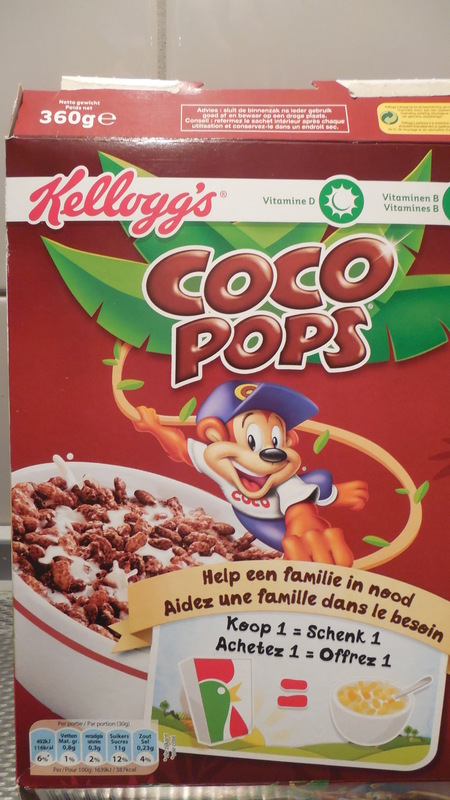 She was happy to tell Jake they do have cereal in Holland, but milk is sold by the liter and it’s VERY expensive. Her companion is super nice and has been out for 3 months. She has 4 baptisms coming up in January, and is very excited for the investigators. The language is so difficult, but her trainer says that she can speak more than she realizes. She can understand about 80% of what people say to her! She’s on her way! Holy cow…. I’m in NL! Sometimes, when we’re riding our bikes and I look to the right and see apartments and to the left see green fields with sheep and cows and a cute little bony, I can’t believe it! Then the rain starts again and I do. Ha, ha! I love it here. It’s SO DIFFERENT! Ah. Where to begin??? I was blessed with window seats on both flights (1st to Seattle, the 2nd to Amsterdam) and I sat next to an MTC buddy of mine, Sister Dobler on both flights! No awkward large person or some stranger sleeping on me! I couldn’t get a pic of this, but I saw the northern lights!!! i can’t remember what time it was but I woke up during th 9 hr flight to Amsterdam and out the window was a beautiful, beyond beautiful, band of green and blue! It was amazing. It, in a funny way, reminding me of eternity and secured my testimony of hymn #284 (there is no end…). 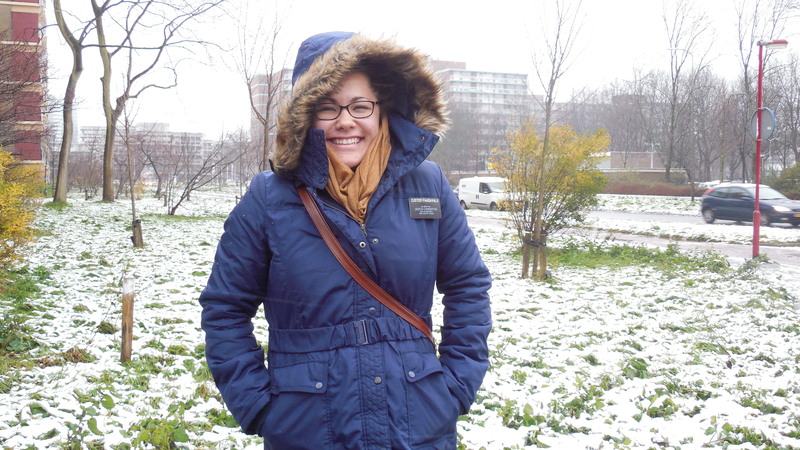 I am serving in Zoetermeer! It is the city with the Temple:) I have been very blessed to be here. Our apartment is one of the nicer ones and I got a bike! This is me riding it. :) I look terrible, but it’s raining and I just ate, so yeah. We have 10 progressing investigators and one has a baptismal date!! or doop datum:) haha can’t wait. I’ll write a letter about them, but ah! It’s so fun! I am so blessed. Very spoiled. The Lord shows me even in the rain that He is here, riding right along side me. Probably even peddling for me:) . Zuster Faasavalu arrived safely in Belgium! She was able to call us from the airport before she flew out. She had so many tears, we hardly shared words. 🙂 She did say that everyone was encouraged to receive a blessing before they left and Elder Byers blessed her with the opportunity to share music on her mission. He told her the Lord wants her to learn the hymns in Dutch and utilize the hymns in the homes she will visit. This was a great comfort to her, as you can imagine. 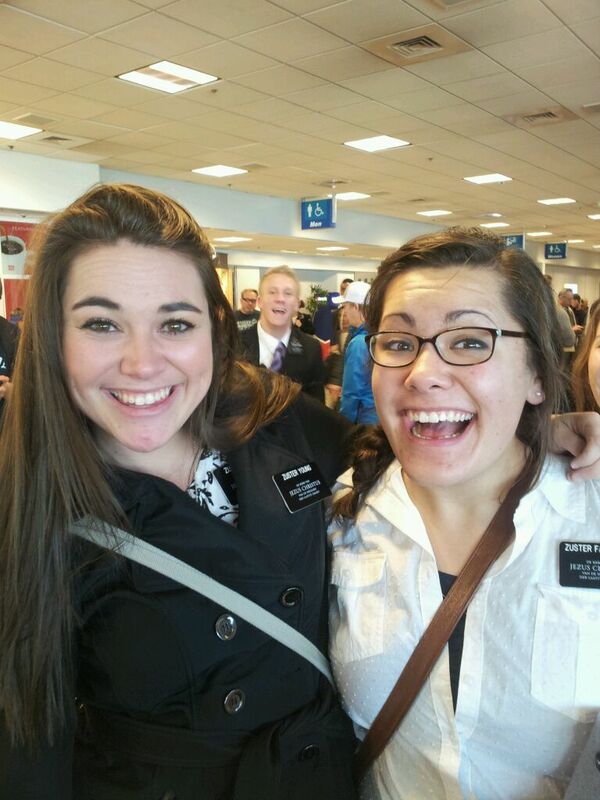 A Tongan Elder’s mother works at the airport and she sent me a picture text of Zuster Faa and Zuster Young. 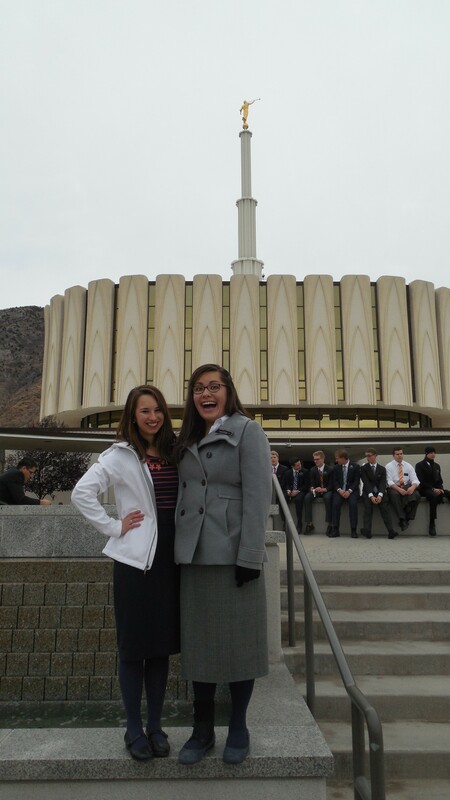 These two have become best friends during the 6 weeks they have been in the MTC. Although not companions, they found great comfort in their friendship. I’ve had a few thoughts I wanted to share, in relation to missionary service and preparation. 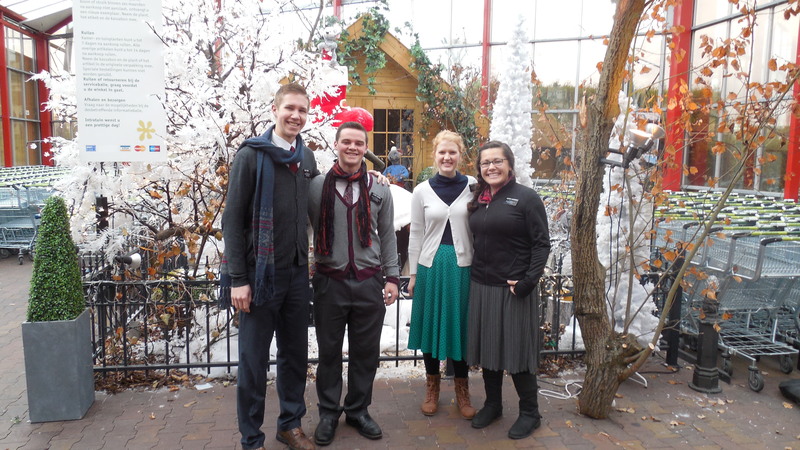 First of all, I have felt so blessed by the many kind people who have sent me text pictures of my missionary. I never thought to do that for a missionary’s mother, until I’ve had multiple people do that for me. It means so much to see her, to have that picture and know she is happy. I will be more mindful of opportunities to take a quick photo and send it to a missionary’s mother. Two items on my “I wish we had……” list. 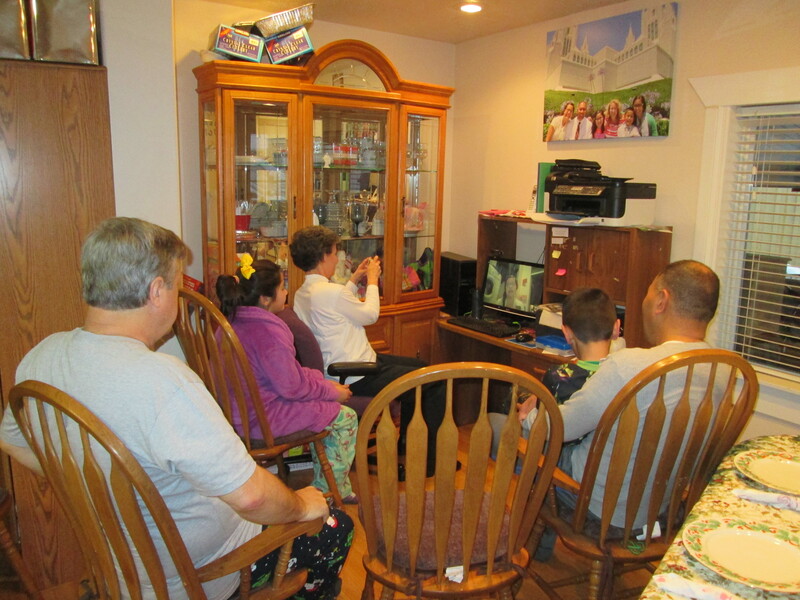 Jessica’s high school counselor encouraged us to give her an “away from home” experience before her mission. We were conflicted, because she would be leaving so soon, anyway, why lose her sooner? In hind sight, I now realize why this was valuable advice. Being away from home for a long period of time is more stressful and heart wrenching for that young missionary than any of us can imagine! Even if you feel like your child is the most stable young person possible, homesickness is real and it is hard. 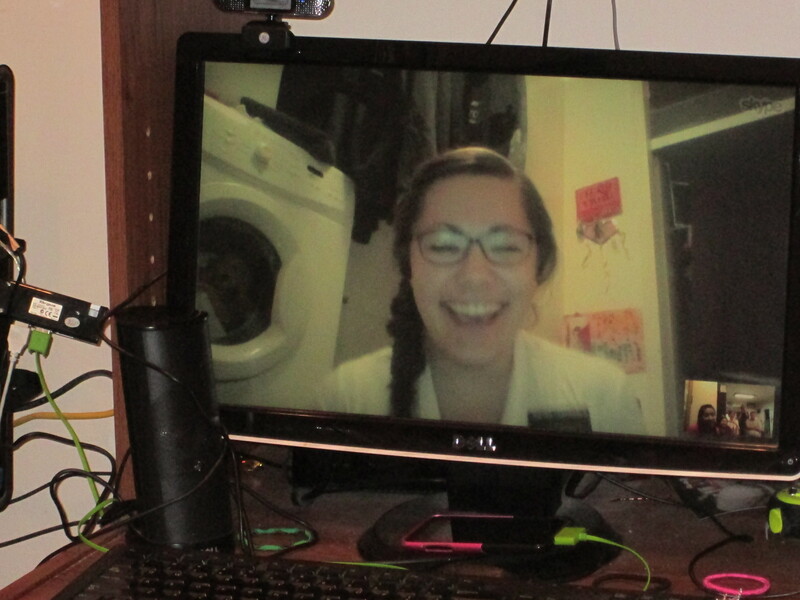 Having a month or so dose of homesickness prior to a mission, might just be the best thing for a future missionary! My next item is trivial. I didn’t know she would be able to call us from the airport. They gave her a 100 minute phone card, which sounds great! BUT, each time she connected a call, 20-30 minutes disappeared. She only had time to talk to Fale and I for 15 minutes each and the call was disconnected. I wish I had sent her a roll of quarters. These are the 20 new arrivals to Belgium. Well, I’ve made it to my last week Crazy!! This week has been very, very good. I am still wearing the ankle brace, hoping it will continue to get better before I leave Monday! I do believe I am healing, though. Thursday: Thanksgiving! Elder Bednar was our devotional speaker. He passed out 200 cellphones to the crowd and had us text his iPad questions and then he would answer them from the pulpit. His wife commented on a question about praying, “The more specific we pray, the more Heaven hears.” I love that. Then the service project was amazing. We doubled the 350,000 mealbags and had a great time with the other 1400 missionaries here. The hairnets were great. Sorry I don’t have a picture of it. 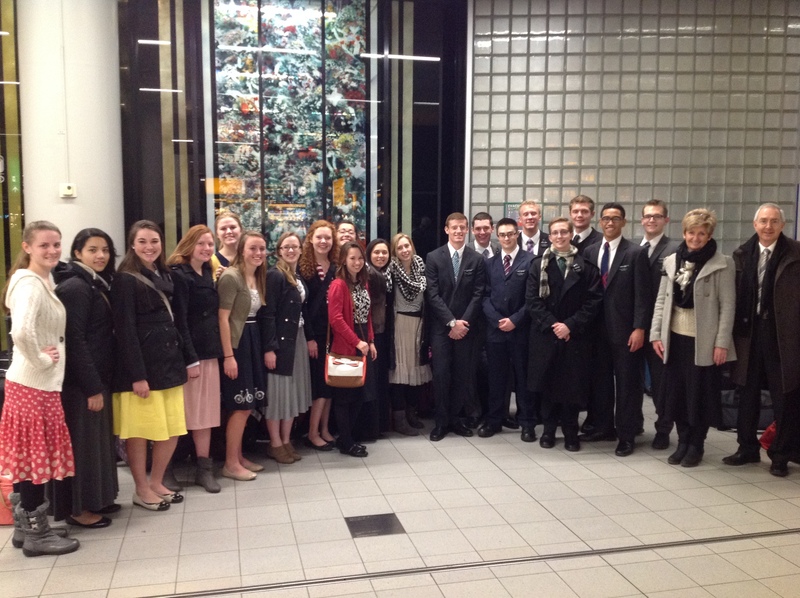 Would’ve been a treasure:) After dinner and the service project, the whole MTC watched “Meet the Mormons.” Ah! I loved that, too. Sunday: In RS, Sheri Dew came and spoke to the sisters! “When we testify of truth, the Spirit will testify that it is true.” And then about the excuse that some missionaries and investigators use, “It sounds like a lot of work,” she asked, “Are you willing to wrestle [spiritually/physically] for revelation?” She looked at all of us and then said very firmly. “Whatever you have to do to obtain the witness, whatever you wrestle with, once you obtain that witness, it’s worth it.” Ah, she was great. And then… the Sunday Evening Devotional was……………….BYU’s Vocal Point!!! Oh man, I was excited. I miss singing in a choir and hearing music all the time. They were amazing. Their spirit and their music and their voices brought me to tears (not surprising) ah. Loved it. Loved it. Music is my testimony. If you didn’t know that, I’ll say it again. Check out christmas.mormon.org for an amazing video about the Gift of Christmas!!! In de naam van Jezus Christus, Amen.